We returned to Camp Murray to an ideal campsite, right on the shore of American Lake. That evening Scott and I attended a program at the twins school about DOGS (Dads Of Great Students). This is a program to get dads to volunteer one day at a time for an entire school day – it looks like a great program. I was struck by the appearance of most of the dads in the audience, I think at least a half to two-thirds of the families in this school have parents that are stationed at Joint Base Lewis-McChord. 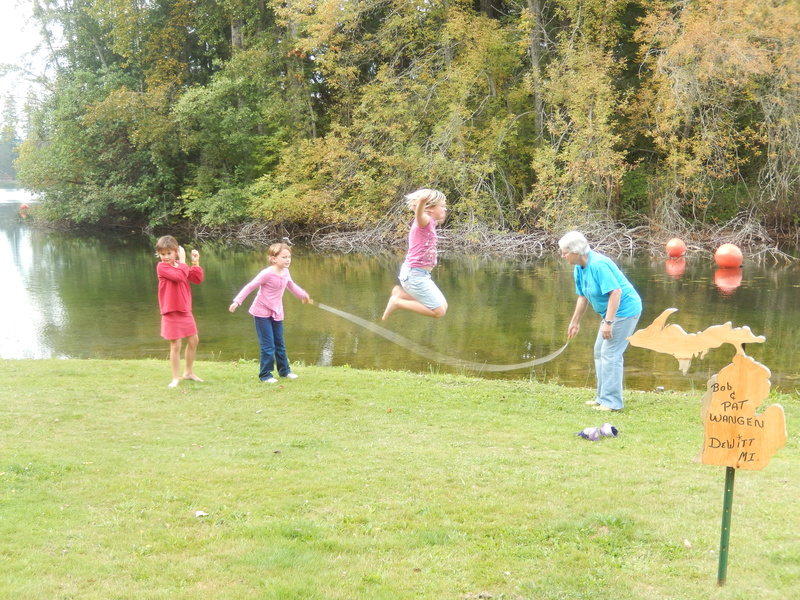 This weekend’s big thrill for the girls was jump rope. They had just gotten into it at school and seemed to want to do it every free minute. We all had a good time with it! 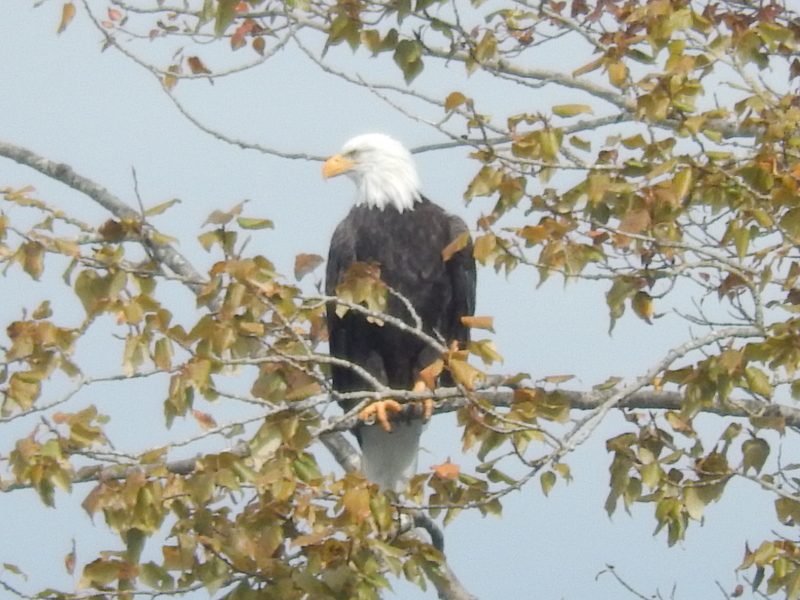 We also watched two pairs of bald eagles flying near the campground. I have seen more bald eagles in the last four months than I have in my entire life! 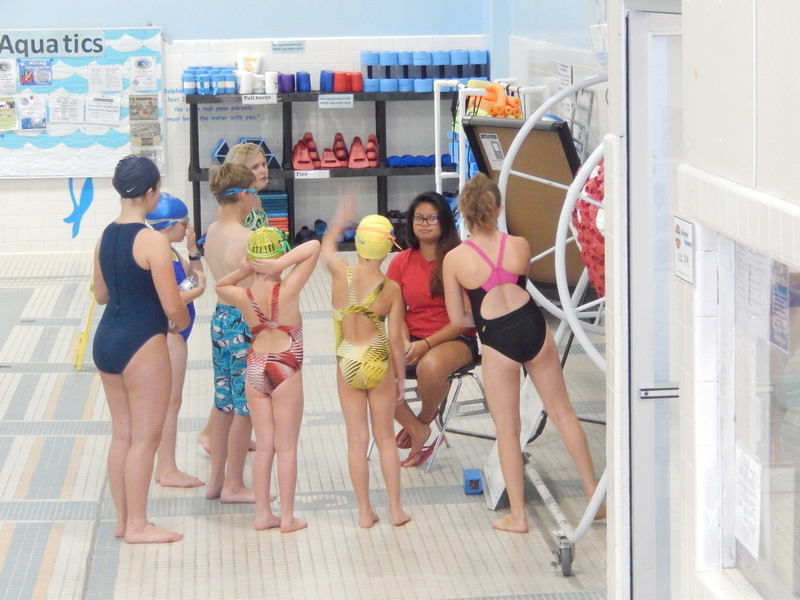 The girls were active in competitive swimming in Salt Lake City and are continuing swimming in Washington. Pat and I would take them to practice and watch them swimming – just watching them was exhausting! Our daughter, Elisabeth, flew out to join us and visit with Scott’s family. The day she flew in we headed straight to Seattle to see the sights. Our first stop was the Pike Place Market. 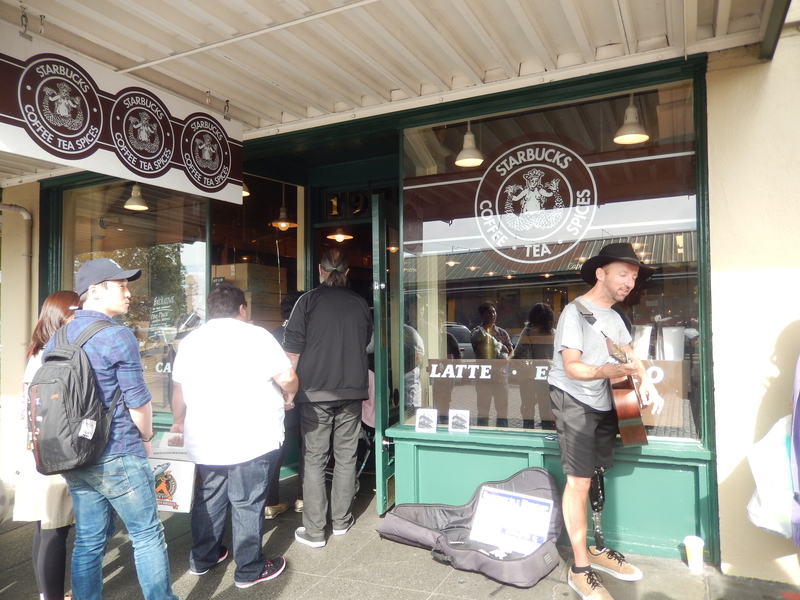 We wandered through the market, had lunch on the waterfront, and checked out the original Starbucks. Later we took the ferry to Bainbridge Island. 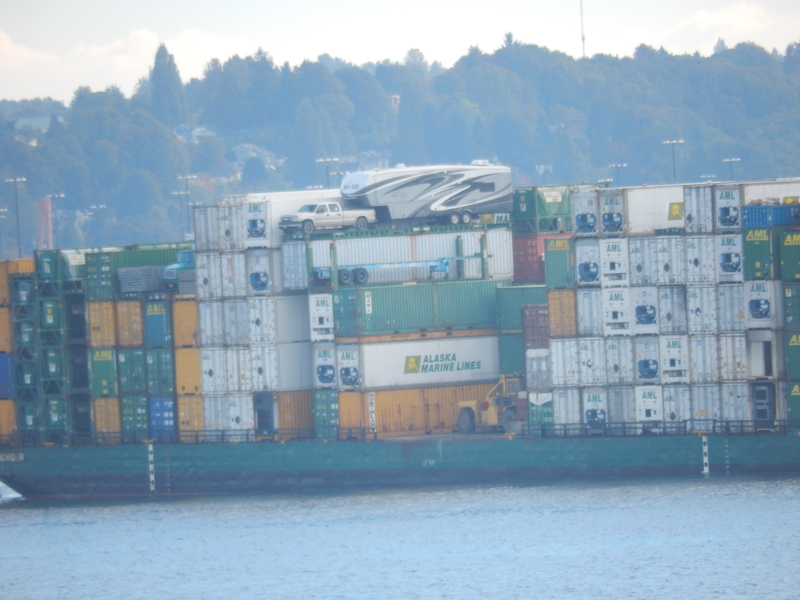 On the trip to the island we saw a fifth wheel trailer and it’s truck on a barge being ferried to points unknown (not something you see every day!). 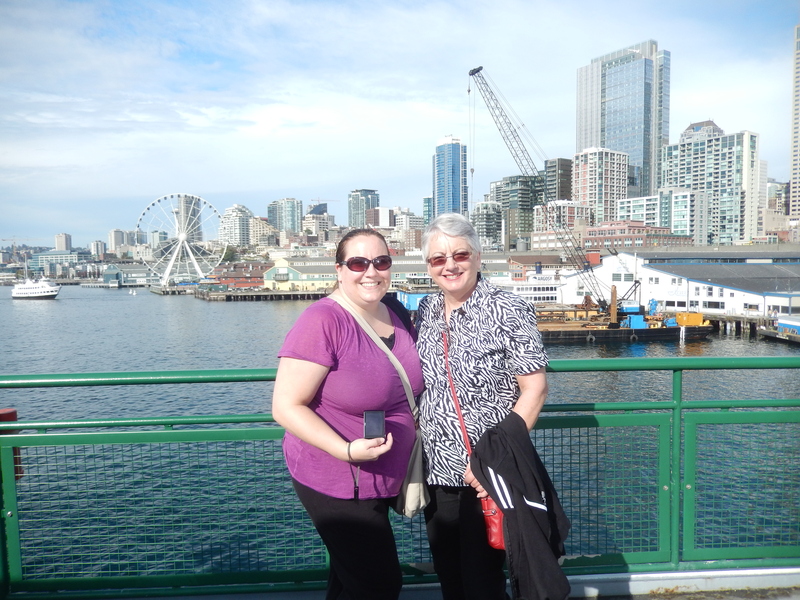 We enjoyed seeing the Seattle area from the water and the sunshine. 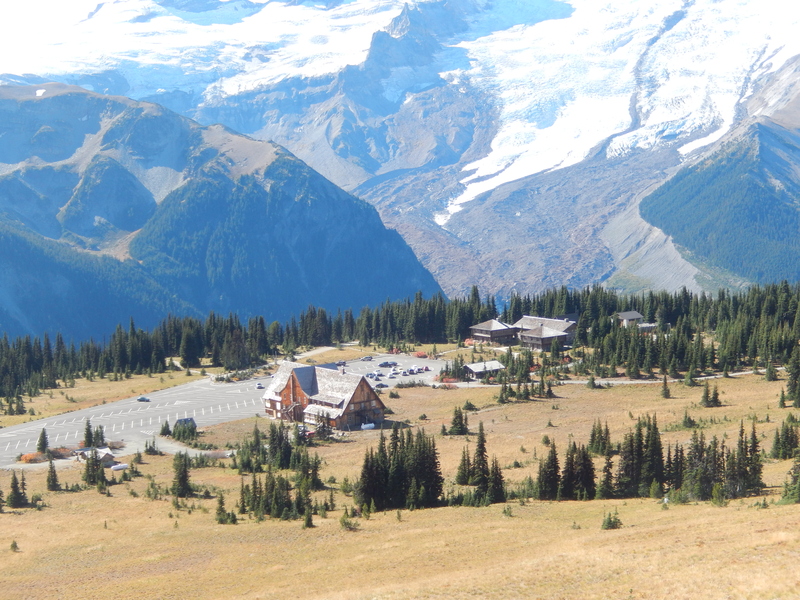 The next day, the three of us drove to Mount Rainer to the Sunrise Visitor Center. We had previously visited the Paradise Visitor Center on the south side of Mount Rainer, but Sunrise is on the north and it was like visiting a different mountain – the topography was totally different. 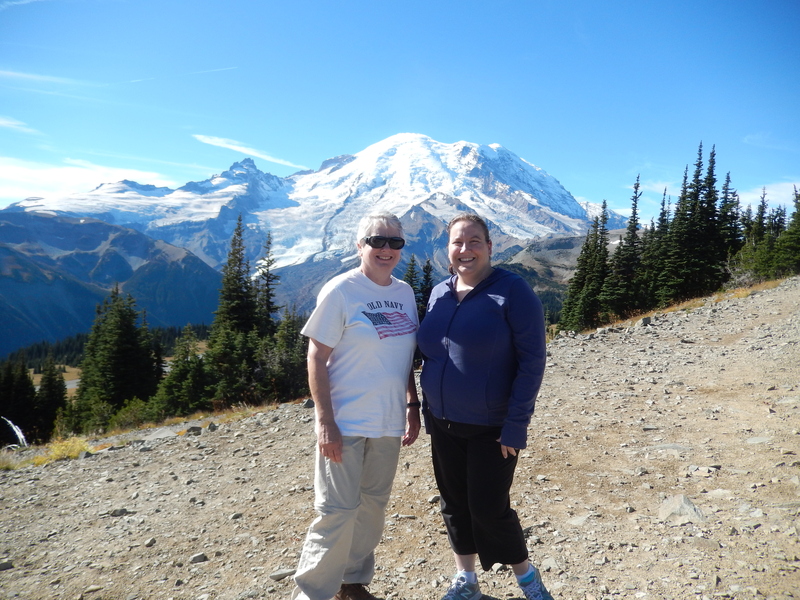 We hiked a couple of the trails in the area and had a great view of Mount Rainer and the Emmons Glacier. It was a long drive, but we had beautiful weather and a great day. 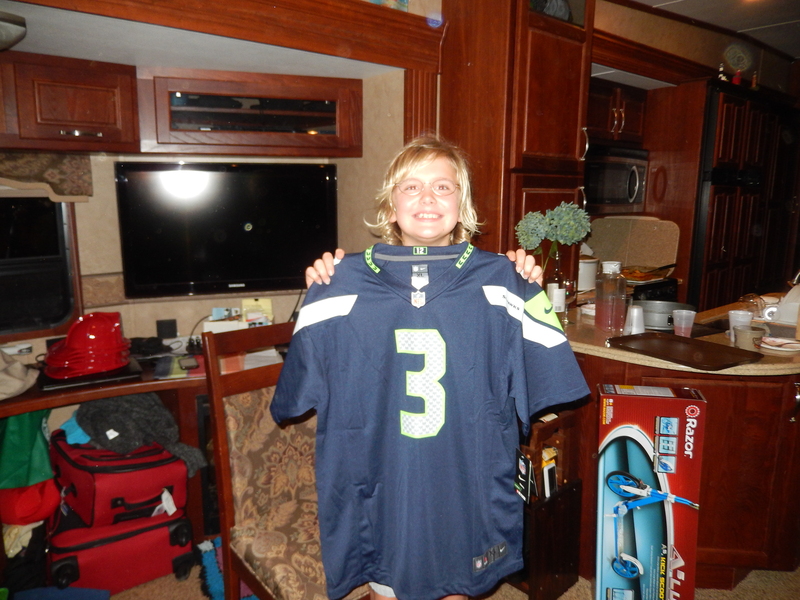 We had all three granddaughters for the weekend, which made for a crowded trailer, but fun. 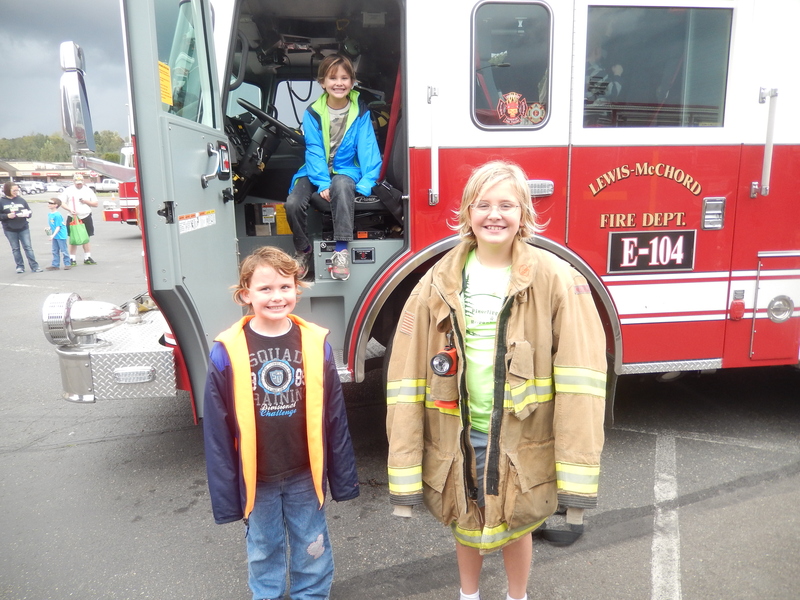 We spent most of Saturday at the JBLM Fire Safety program. The girls climbed on fire engines, wore firefighter helmets, got their faces painted, and enjoyed the free chili dogs for lunch. It was fun just watching them. 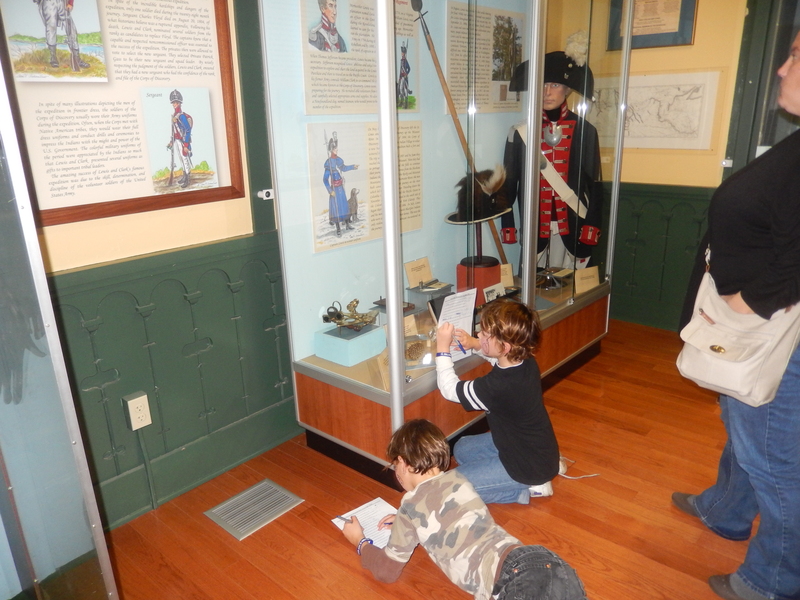 Later, Elisabeth and I took the twins to visit the Fort Lewis Museum. The museum had a quiz for the girls that led them around the exhibits – that made it fun for them. The exhibits are very well done, covering Fort Lewis history from the Lewis and Clark expedition through the present. We celebrated Katrina’s birthday that evening. She chose a menu of her favorite foods and we had a wonderful time. Monday was Columbus Day and Scott had the day off from work. The five of us (Scott, Sandra, Elisabeth, Pat and I) took advantage of the opportunity to have fun bowling. Later we met Scott, Sandra, and the girls for Dinner at the Black Angus Steakhouse before we drove Elisabeth to the airport for her flight home. Wednesday morning we were on our way south. We were already looking forward to the next time we can see Scoot and his family again. Next stop, Beverly Beach State Park in Oregon. Bob and his wife, Pat, are fulltime RVers. They sold their home in Michigan in June, 2011 and now travel the country, living on the road. Home is Where You Park It! 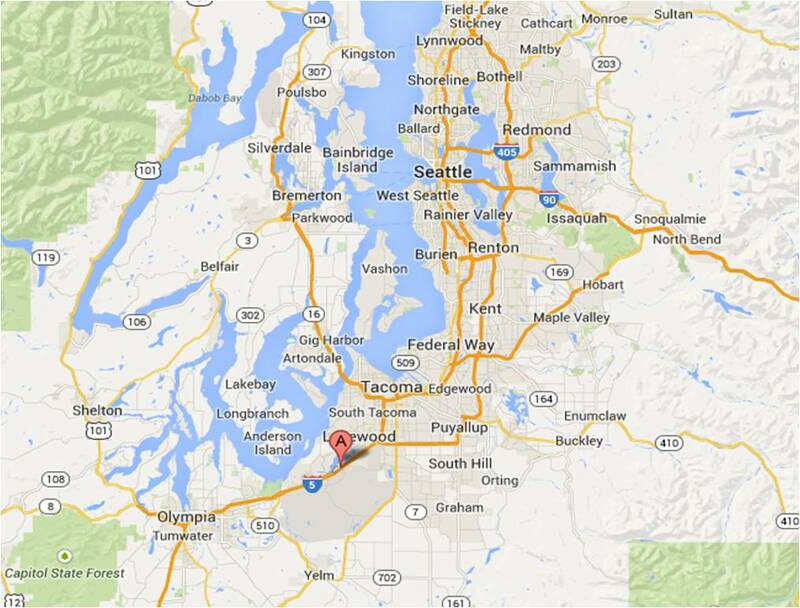 This entry was posted in Fulltime RV, Michigan Traveler, National Parks, Washington and tagged Bainbridge Island, fifth wheel trailer, full-time RV, fulltime RV, JBLM, Lewis and Clark, Mount Rainer, Pike's Place Market, RV Forums. Bookmark the permalink. We are staying at the Redstone Arsenal in Huntsville, AL.